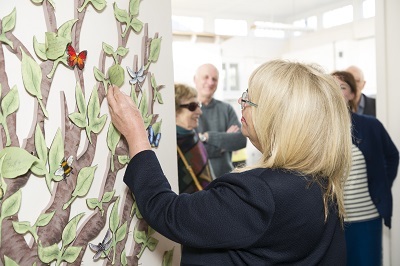 To celebrate a century of caring for people and keeping people well, a number of artists have been commissioned. 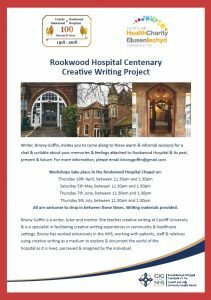 Regan Paddock, a patient who had been at Rookwood following a car accident, wrote a poem about the Superheroes of Rookwood, penned for the staff that looked after her. 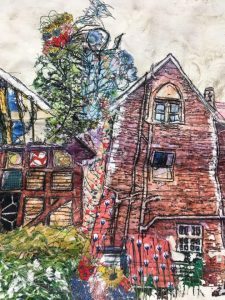 Artist Haf Weighton, was commissioned to create a tapestry of the building, who said the experience had made her look at the building through new eyes. 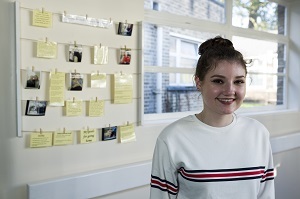 “I’m from Cardiff, so I know of the hospital, I went to school at Ysgol Gyfun Gymraeg Glantaf which is just around the corner but I didn’t really know much about it before. “It’s a beautiful building – there is a lot of colourful tiles outside and inside the building. It is a busy time for Haf at present, as some of her works will be on display at the Saatchi Gallery in London running from 20 March until 1 April.